We Recommend: Overhaul if aircon performs poorly or erratically, if chemical cleaning is ineffective in restoring performance or unit has not been washed for a number of years. On top of general servicing, unit is disassembled and each part thoroughly cleaned using water and cleaning compounds – getting rid of stubborn stains, grease, and accumulated dust. 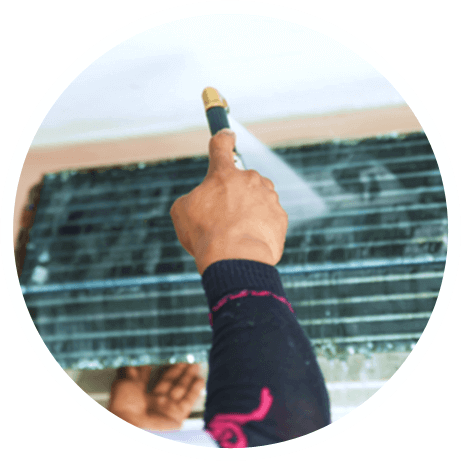 Our general servicing includes cleaning of the front panel, fan coil, filters, and drain pipe with water, as well as checking that the air-conditioning unit is in working order. Aircons do not come cheap thus having your air conditioner maintained and serviced regularly will ensure optimal performance and reliability, so you can enjoy maximum comfort especially in a tropical climate like Singapore. When your air conditioner is well-maintained, it can run more efficiently and produce the coldest air, while prolonging the overall lifespan of the unit. When it functions in a perfect working condition, it can also keep the air clean effectively, and prevent health hazards and major breakdowns. Routine checking and servicing can help diagnose any problems earlier, which in turn helps you save valuable time and money. Servicing at least once a month for commercial units and once every 3 months for residential units. Regular aircon servicing reduces the need for frequent aircon chemical cleaning or overhauls, and catch any potential problems to avoid any major dysfunction. It will improve the cooling performance and lessen the electrical consumption. This involves a thorough cleaning and reconditioning of the aircon to maintain your unit. Chemicals are used to properly clean the aircon parts and machines including the filters, fan blades, drain pan, and the blower wheel, which is important to prevent allergies and breathing problems that are associated with dirt and dust particles accumulated in the aircon unit. This process can also help to restore its functionality when normal cleaning processes are ineffective in doing so. It ensures a longer lifespan of the aircon unit to give clean and safe air, while restoring and improving its performance. A chemical overhaul for air conditioning that is performing poorly or erratically, such as the temperature is not cooling enough, it is leaking water, it is making a loud noise or has stopped working. An overhaul can also benefit a unit in restoring its performance or a unit that has not been cleaned for a number of years. On top of general servicing, chemical cleaning is beneficial to remove the dirt that had accumulated over time in the unit which can cause the system to function poorly. 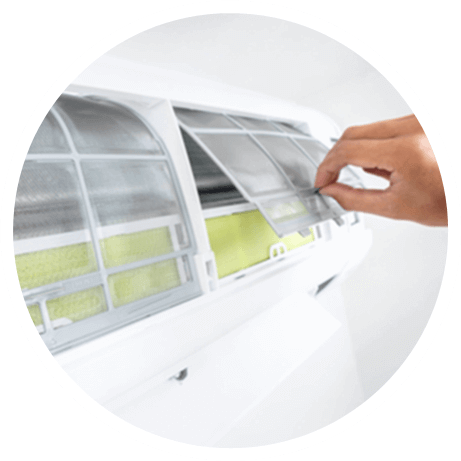 The aircon is disassembled and each part is thoroughly cleaned using water and cleaning compounds – to get rid of stubborn stains, accumulated dust and grease. 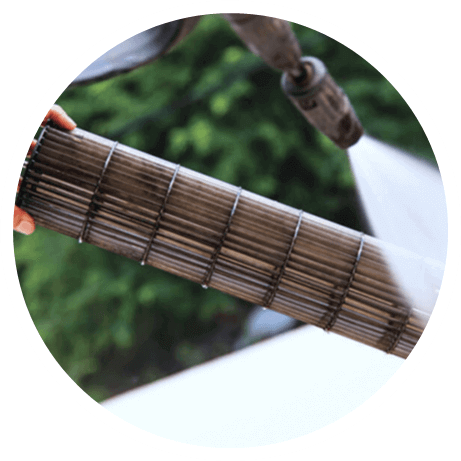 Having cleaned parts will enable the aircon to perform as good like it is new, and ensure the air expelled is clean and fresh to prevent allergies and breathing problems. Chemical cleaning also helps to wash and clear out the dust and dirt which may obstruct the heat conduction, so as to fully optimize the cooling effects. Schedule a chemical cleaning every 6 to 12 months, or when you begin to notice bad smells, performance deterioration, leakage or excessive noise of your aircon unit.